Working with us means handing over the maintenance of accounting issues of your organization into professional hands. You will never have to doubt the reliability of financial statements and the accuracy of tax calculations; nor worry about information risk and statutory compliance obligations. At Fine Life Limassol, we will help you take control over your accounting and tax issues by taking the administrative burden off your shoulders, and thus enabling you to achieve strategic growth goals in an optimized and risk-effective way. 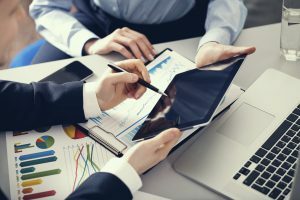 In today’s ever-changing auditing and regulatory landscape, with the added strain on accounting and increased regulatory scrutiny, as well as stricter reporting standards and local statutory requirements, companies increasingly find themselves requiring professional support in managing their accounting needs. Our team of highly skilled experts will provide you with cost-effective strategies to help you achieve your tax objectives and make the best decisions to move your business forward with confidence. We could do everything from helping you with bookkeeping transactions to compiling accounting reports and financial statements, as well as carrying out all the necessary reporting procedures in compliance with International Financial Reporting Standards (IFRS). Additionally, we offer complete VAT preparation and accounting services, including filing returns and VAT reporting to local authorities.